If you love to immerse yourself in romantic historical novels don’t miss Catherine Richmond’s debut novel, Spring for Susannah. This book will make your heart swoon as Jesse tenderly woos Susannah. I instantly bonded with Susannah as I read her story and I fell just a little bit in love with Jesse, too. The secondary characters round out the story and give it balance. This was a satisfying read — one I plan to keep on my book shelf to enjoy again. I have only one tiny complaint. A few social issues of the era were touched on in the book, but they remained basically unexamined. 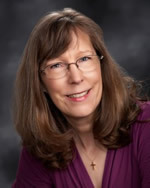 I found myself wanting a more proactive Christian analysis of the plight of the Lakota, but in order to do that the author would have had to compromise the history of the era. All-in-all Spring for Susannah is an outstanding first effort and I can’t wait to read Catherine Richmond’s future novels. Prize Package worth over $150! To enter just click one of the icons below and then tell your friends! But hurry, giveaway ends on June 27th. Winner will be announced on Tuesday, June 28th at 5 PM (6PM MST, 7PM CST, & 8PM EST) during Catherine’s Spring for Susannah Book Club Party on Facebook! Catherine is rustling up some fun for the party – she’ll be chatting about the story behind her novel, hosting a book club chat, testing your mail-order bride trivia skills, and giving away some GREAT prizes! Don’t miss the fun and tell your friends! Loved this book and your comments! Aha… you’ve just reminded me to check out the Kindle website. I haven’t done it in such a long time. I really enjoyed this, too! 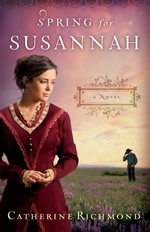 Quilly, Thanks so much for your wonderful review of Spring for Susannah! My next, Relying on Sophia, delves deeper into the Indian rights issues of the day. I hope you’ll enjoy it, too. It will be out next summer. Blessings!